Date set for Judicial Review of state pensions for 50s-born women. 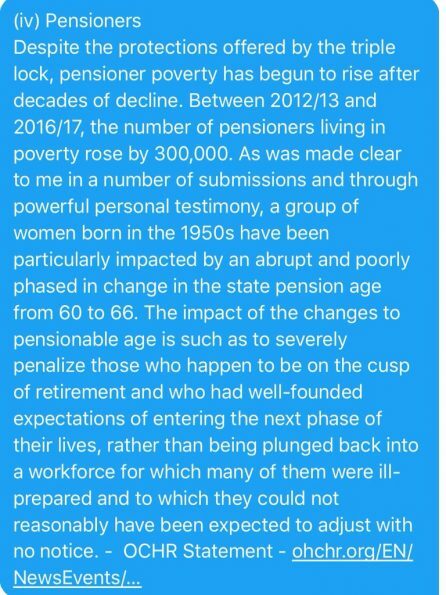 The historic hearing into whether 3.9 million 50s born women have been cheated out of their state pension by the government has been set by the High Court for May 24 and 27. The date is later than expected because the Department for Work and Pensions expected to win the hearing for permission to bring the review on November 30 brought by BackTo60 campaigning group and thought they would stop the process in its tracks. Now the Department has been allowed more time to prepare its case as all of its initial arguments to stop the review were thrown out by the judge. The Hon Ms Justice Lang – who is also known as Dame Beverley Ann Macnaughton Lang – ruled in favour of all the issues raised by barristers Catherine Rayner and Michael Mansfield on behalf of the women. This means the government will have to answer whether the decision to raise the state pension age from 60 to 65 and then 66 amounted to age and equality discrimination. The key point is that the judge decided that although the legislation dated back to 1995 the present effects of the change is causing hardship to a specific group of women who were not able to fully contribute to the national insurance fund. 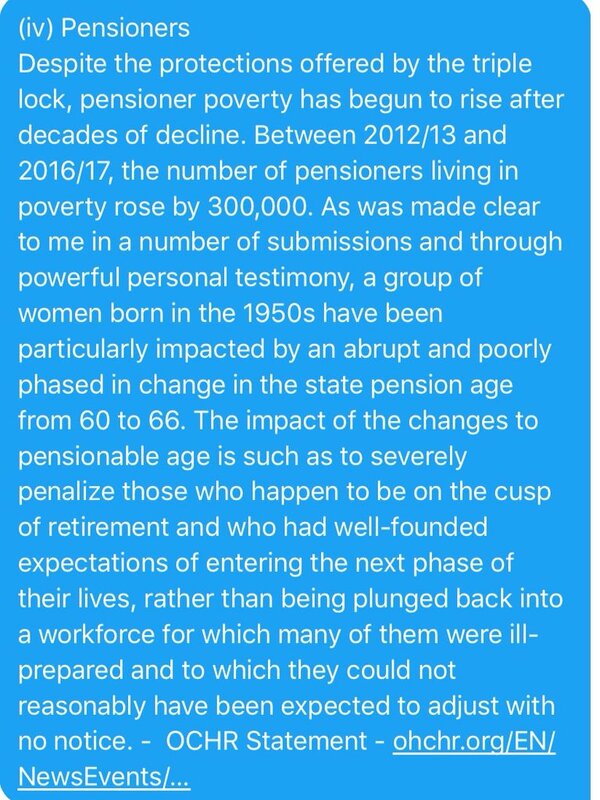 The original hearing also led the government to admit that further changes introduced by the coalition government in 2011 had been part of an austerity programme and reveal that the private pensions industry is also against the women winning their case as it could have a knock on effect on private occupational pensions that are tied to the state pension age. The issue of maladministration will not be the main feature of the case as this is being dealt with by the Parliamentary Ombudsman. Cases of discrimination and resulting hardship can still be brought by MPs to the Ombudsman. And recently Ben Lake, the Plaid Cymru MP for Ceredigion, filed a case on behalf of a constituent. Joanne Welch, spokeswoman, said: “BackTo60.com had a resounding victory on 30th November 2018 and our amazing World Class Legal Team pressed home our advantage for a 2-Day Substantive Hearing. “The substantial significance of our argument has been recognised by the authorities and the case has been elevated to a higher level for determination – this has necessarily involved an alteration of hearing dates. “There will now be a much more thorough and robust review as the case will take on an historic perspective and achieve national significance: it will be heard, May 2019, at the Divisional Court. This article was written by David Hencke and has been crossposted from ByLine.